All 5 robots are in San Francisco! The truck arrived at Treasure Island today at 2:30pm with 25 pallets of robots. Pictures are on SFO 2001 trip report's page. All 5 robots are on their way to San Francisco! The truck came today at 7pm and took both crates. Pictures are on IceBerg's page. We also fixed a major problem...IceBerg had a broken motor mount from all the stress of firing its pneumatic weapon. Details on the web page. Lots of updates; Dan and I worked yesterday and today non-stop to solve the radio range problems on Ice Cube and WindChill. We also added ballast to FrostBite, bringing it up to fighting weight. But the biggest news is that we have a working self-righting mechanism for IceBerg. Video of the IceBerg righting is on the video page. The magic number is 4 days. 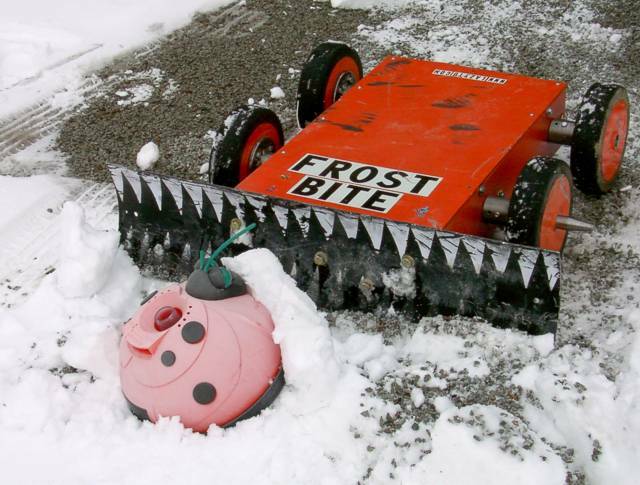 Lots of progress on FrostBite 2.0, including painting, mechanical mounting, and getting the actuated snowplow blade working. We also have updates to WindChill's page. The magic number is 6 days until the ECRA truck comes. 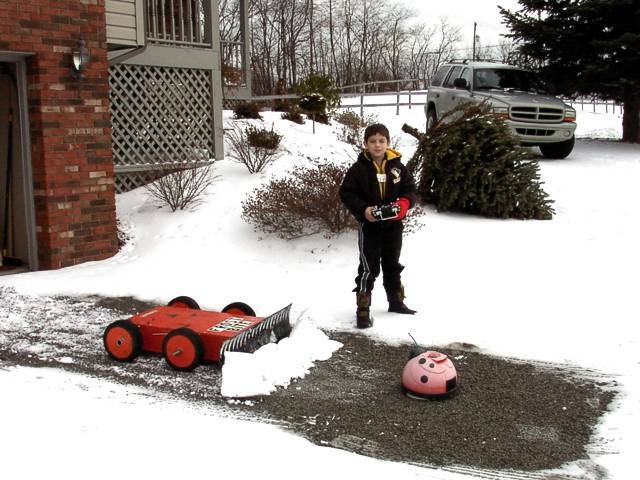 We completed assembly of IceBerg, and tested the snowplow blade under radio control. Video of IceBerg in action is available on our video page. The magic number is 11 days. We finally got underway on FrostBite 2.0, while IceBerg gets painted. The magic number is 14: in exactly 14 days the ECRA truck comes for our robots. Lots of updates...we've been busy working on the bots instead of the web page. Ice Cube and SnowFlake are ready for San Francisco, and have been busy playing with their chewtoys. WindChill is finally painted, shock mounted, and is also ready for San Francisco. IceBerg has been through drive testing, and now we're mostly through mounting the pneumatics. It's alive! IceBerg had its first driving test today. Details are on IceBerg's page, and video is available on our video page. 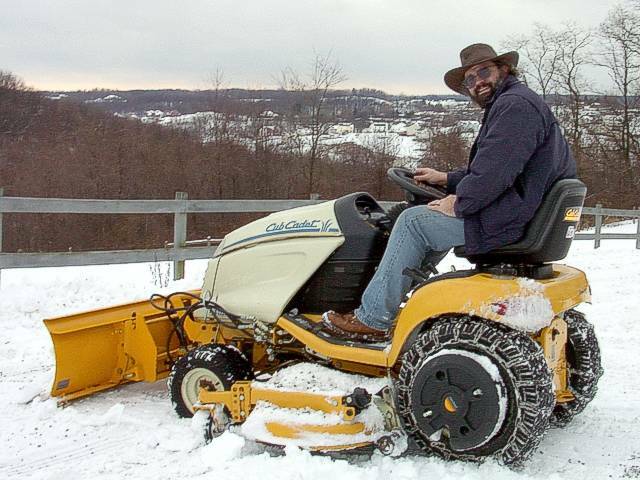 We had a test firing of IceBerg's pneumatic snowplow this weekend. Video of the test is also on our video page. We'e given up on self-righting, and decided to focus on our weapon instead. Our defense will have to be a good offense. Lots of updates this weekend. We got SnowFlake painted and reassembled, and had a little Sunday rumble with Ice Cube. Video of the rumble is on our video page. We also testing IceBerg's pneumatic self-righting mechanism, and if failed miserable. Video of the test is also on our video page. We had our first driving test of Ice Cube today! Video is on the video page. We painted SnowFlake & Ice Cube today. We also got a great big pile of batteries and chargers for IceBerg. The snowplow blade for IceCube finally arrived today, and we've already mounted it, so now you can see what IceCube really looks like. 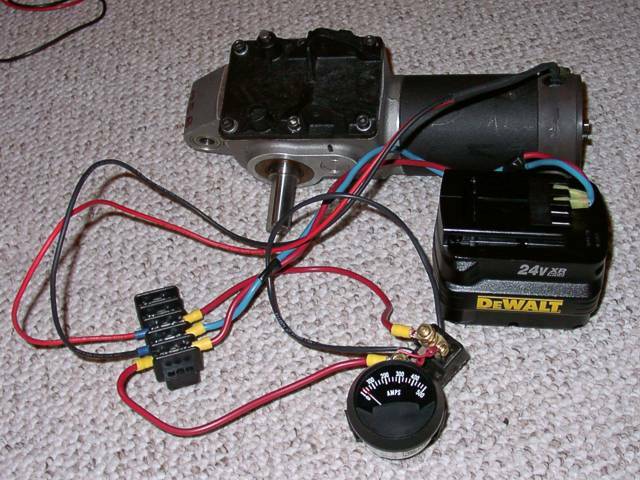 We have an update to IceBerg's page describing our attempt to build a pneumatic self-righting mechanism. We had our first wet test of the tank/regulator/cylinder system today. CIVIL WAR! We've split into two teams, Team Toad & Team Crystal. See our robots page. 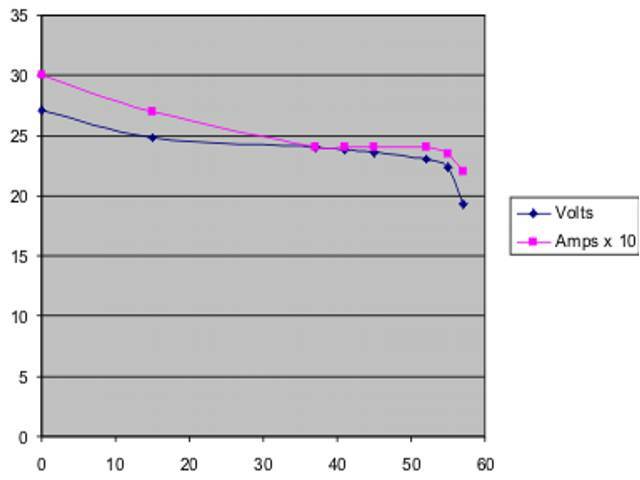 We added a couple of graphs to our Panasonic 3000 mAhr NiMH battery tests on our research page. We're settling on using massive arrays of NiMH batteries to power IceBerg, to save room and weight for pneumatic tanks. 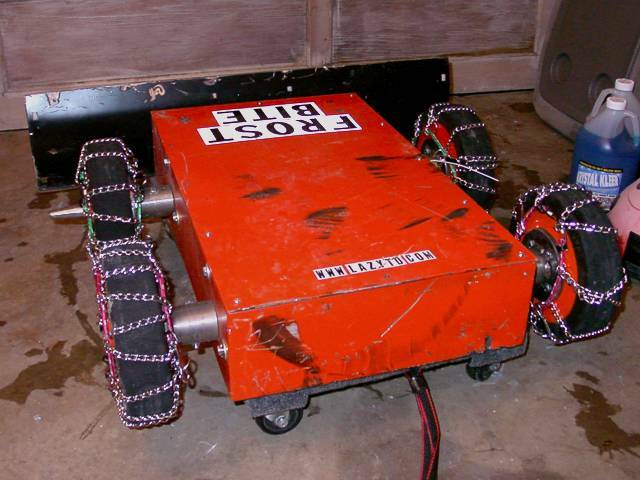 We added a new feature to our research page, an archive of truly great, definitive posts on the BattleBots Forum. Check our the Great Posts Page. We got a visit on Saturday from the Shadyside Academy robot team, Team Shady . They're building a middleweight called Vulcan. We have our first photos of IceBerg; we got the 8 NPC 60522 motors mounted and got our first glimpse of this superheavyweight terror. We also have updates to our WindChill and Ice Cube pages. 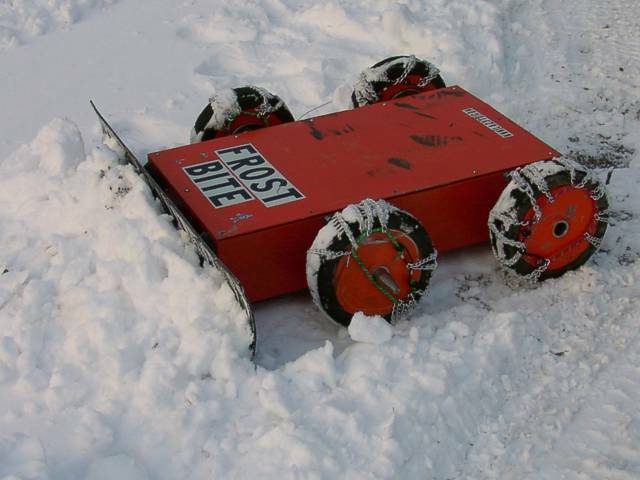 We have a major redesign of Ice Cube, going from 4 wheels to 2, and using more powerful motors. We mounted the spike on WindChill today. This represents our first powered weapon of any sort, but it surely won't be our last. See our video page for new MPEG format videos of FrostBite, SnowFlake and WindChill. We had our first driving test of SnowFlake today. Video is on our video page. Our first robot season comes to a close after losing a hard-fought battle to Voltronic. See our Las Vegas trip report for details. Watch us fight Voltronic on February 6th, 2001 on Comedy Central at 10pm EST. We had our first driving test of WindChill, Danny's middleweight. We also have a video of Windchill spinning on our video page. Welcome our newest Toadie: Joe "Chooie" Choo. We have updates to our Snowflake and IceBerg pages. We got a shipment from Vantec yesterday...3 Futaba 8UAPS's and 2 RDFR36E's. We also have updates to our FrostBite, Ice Cube and Snowflake pages, plus a new Motor page under Research. We've just finished a major revamp of our web site, systematizing the navigation. We're anticipating a large number of updates, given that we're readying 4 new robots for our second BattleBots competition. We're starting to get parts in from the fab shop...we already have a new body and weapon blade for FrostBite and a new body for IceBerg. We'll be posting news and photos soon, but first we had to make new places to put everything. 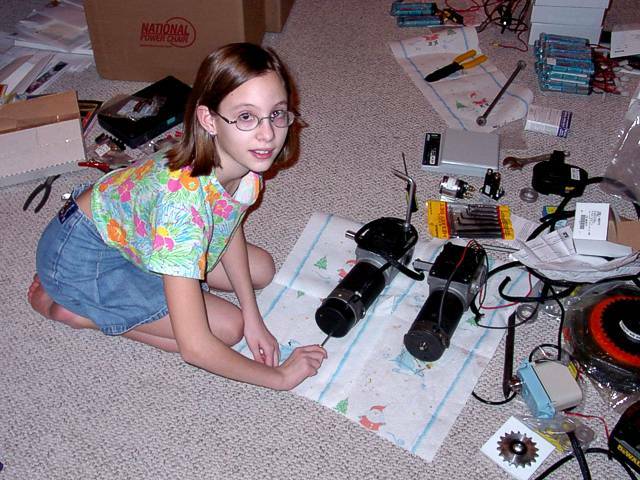 Today, Jacey started working on her science project, Comparison of Amp-Hour Capacities of Batteries for use in Combat Robots. 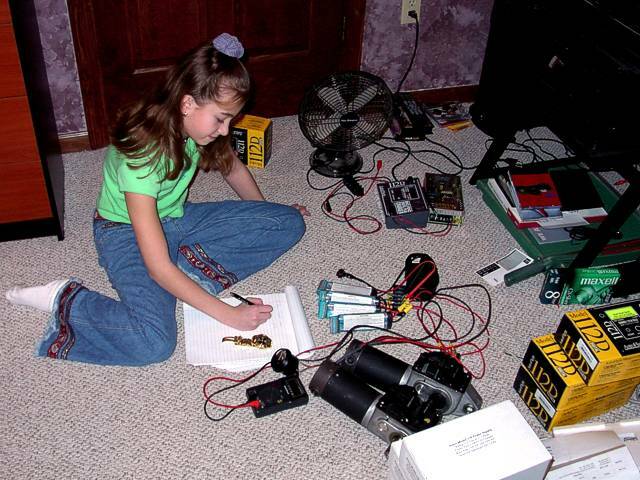 She tested the 30 minute discharge rates of NiCads and NiMH (Nickel Metal Hydride) batteries. Check out our Battery Test Page for details and results. We also have updates to the SnowFlake and Ice Cube web pages. There was some discussion on the forum about the amp-hour capacity of the DeWalt 24V XR battery pack the comes with the 24V Hammerdrill. We measured 2.44AH. For comparison, we measured the 18V XR+ pack at 3.02 AH. Click here for details on DeWalt battery capacity. 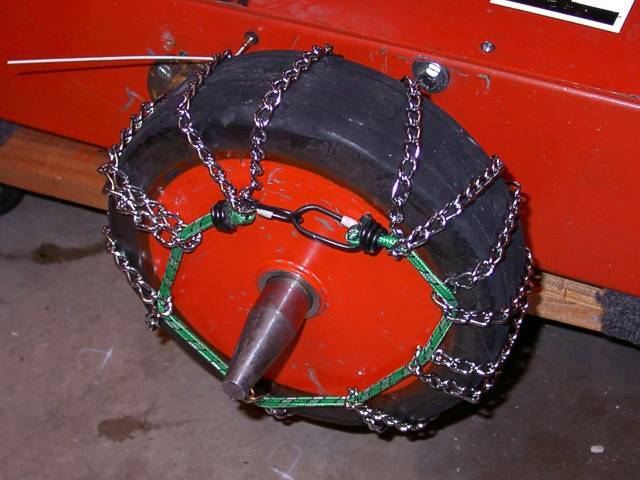 Today we tried the first prototype of tire chains for FrostBite. They really helped the traction, but the design with bungee cords allowed the chains to slip, because the cross chains are not tied a specific distance apart. You can see in the photo on the left that the front tire chains are starting to slip off. To the right you can see the inspiration for our new super-heavyweight (photo credit: Danny Mauldin). I'd love to put remote control on this baby. Dan got some more driving practice in today. To simulate the one-on-one competition, we arranged a target robot. Turns out our pool cleaner bears a striking resemblance to a famous battlebot. There's a new video on our video page, a 2.998 Mb QuickTime piece I put together using MovieShaker on my new laptop. We've also updated the pages for Windchill and Ice Cube, now that we have the first designs of their bodies ready for the fab shop.